Please excuse me as this post (as well as many others) are extremely late. Check out some FAB bloggers that can pull off this Phillip Lim for Target... And don't forget to check out "The WERK! Place". 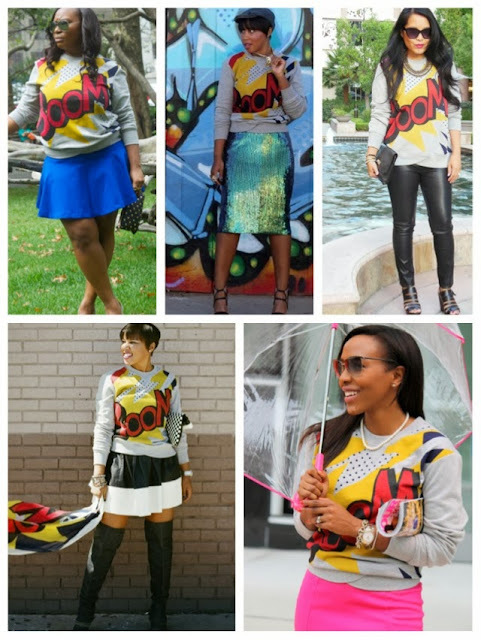 She shows other different ways/ styles to rock the comic sweater.